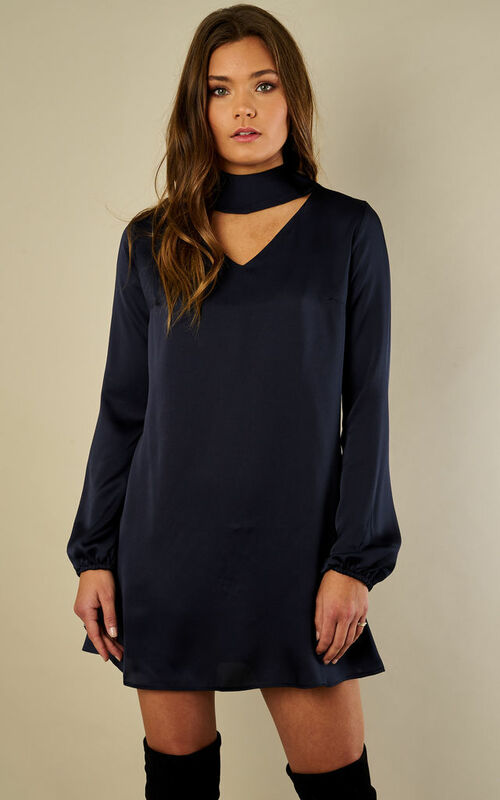 This sassy navy number is feminine and cool. Featuring a choker neck and flowly hem, it will take you stylishly from day to night. Team it with some ankle boots or strappy heels and prepare for some fun!